Cave Creek Computer Repair Service has been providing the best mobile computer repair in Cave Creek, AZ and the greater Phoenix Metro Area since 1999. The term "mobile computer repair" means we come to you, to your home or business, to resolve all your computer problems. We repair laptops, desktops, PCs, and Apple computers. One of our highly qualified staff will meet you at your home or office, often the same day, to take care of all your repair needs. Why not use the #1 rated computer repair company in Cave Creek, AZ? "Very impressed - well done. Will highly recommend. Good customer service, no wait time. " "David was very professional and help me with everything that I needed help on. Very satisfied!" "William did a great job trying to figure out the Facebook / Google insanity.. I appreciate his efforts.."
"Matt was on time, efficient, listened and responded to what I needed, and extremely helpful. I will use the company's services again in the future." "Rob explained everything that he was doing and did a great job fixing my computer." 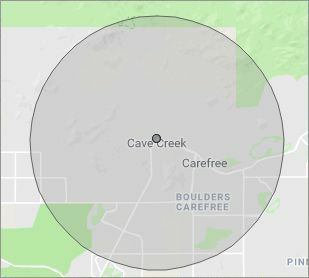 Who is Cave Creek Computer Repair Service? 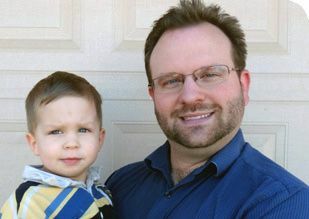 Cave Creek Computer Repair Service is owned by Matt Karls, an Electrical Engineer and a Computer Systems Engineer. We are a team of computer professionals focused on service and quality, all our work is guaranteed. If you have any computer, technology or IT problem in Cave Creek, AZ we can fix it. We have been performing computer repair in Cave Creek full time since 1999. Feel free to give us a call at (480) 666-5832 or send us a text message at (602) 633-4584. What is your Service Area for on-site Computer Repair? Our primary on-site mobile service area includes Cave Creek, AZ and most of the Phoenix metropolitan area. We provide remote and mobile computer repair in Cave Creek, Scottsdale, Fountain Hills, Carefree, Paradise Valley, Tempe, Ahwatukee, Chandler, Sun Lakes, Queen Creek, San Tan Valley, Gilbert, Mesa, Apache Junction, Gold Canyon, Phoenix, Glendale, Peoria, El Mirage, Surprise, Sun City, Sun City West, Goodyear, Litchfield Park and Buckeye. What should someone expect that hires you for Computer Service? Our mission is to fully resolve your computer problems quickly and affordably. If you want a Computer Engineer that can fix all of your computer problems instead of a computer tech, a computer geek, a technician or a computer guy that can only fix some of your problems; call us at (480) 666-5832. What types of Computer Services do you perform? "Chris did a great job. Was very polite and worked steadily till all the work was fully completed." "The service was prompt and professional and the price was right! Thank you very much!" "Tech took time to install a terabit from an older computer and took the unwanted computer away. Should I need assistance in the future, I will contact." "Can't say enough of what was right. It was a great experience with wonderful support. I felt the service was well priced and that Matt had my best interests in mind with everything he did. Amazing service and I have already begun referring others."